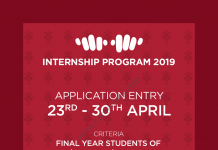 The Fauji Fertilizer Company Limited – Partners in Prosperity is inviting applications for FFC Management Trainees Programs 2019 – III. FFC Management Trainee Program is a year-long rigorous training program. The Management program provides an opportunity for young people to get jobs in Pakistan easily. 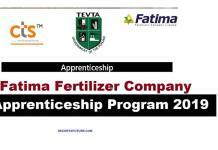 The Fauji Fertilizer Company Limited is providing is providing carrier opportunities such as Fauji Fertilizer Internship 2019 and FFC Management Trainee Program 2019. The Fauji Fertilizer Company Limited – Partners in Prosperity is looking for young, dynamic and self-driven people in areas such as general management, engineering, accounting & finance and agriculture. The recruitment process is highly competitive and final selection is based on overall academic performance, test scores and interviews. 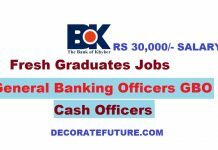 The FFC management trainee salary Varies from RS 35000/- to 50000/-. FFC is clearly preferred as the employer-of-choice by professionals across the country. We have a history of engaging people in a long-term relationship by nurturing talent through purposeful career planning, progressive trainings, first-rate incentive system, a culture of excellence and healthy work-life balance. Our people are continuously exposed to various kinds of trainings, cross-trainings, technical & management courses, workshops and seminars both at home and abroad. 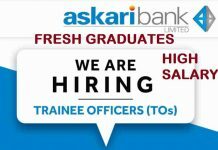 Salary: RS 35000/- to 50000/-. Bachelors Degree with 16 years of education from HEC/ PEC recognized university. The Test will be conducted in March. After passing the NTS test you can apply for FFC Management Trainees Program at FFC Carrier Portal till 30-April-2019.